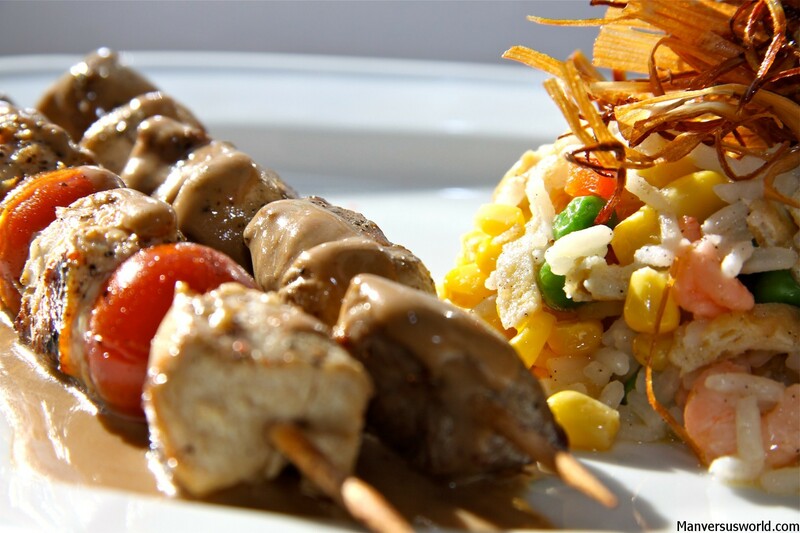 The land of smiles is also a land of amazing food. Thailand’s profusion of exotic herbs and spices, flavours and fragrances, makes its cuisine among the tastiest in the world. Famous for its bold flavours and fresh ingredients, Thai food is essentially a marriage of Eastern and Western influences perfected over the centuries. 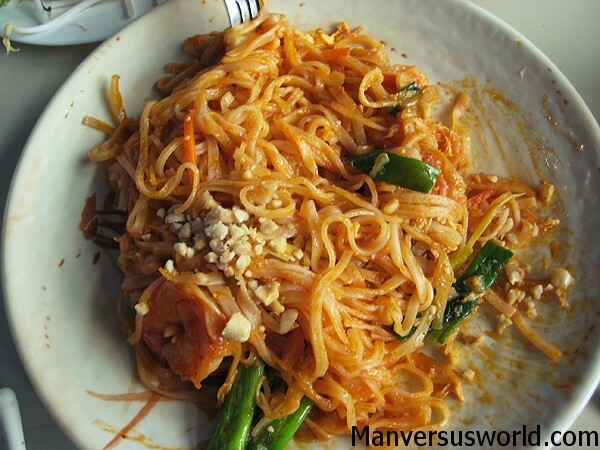 Balancing disparate elements in each dish, Thai food often strikes a harmonious chord between sweet and sour, salty and bitter, which makes it taste so unique. From amazingly cheap and delicious street-food to the finest restaurants in Bangkok, from backpacker favourites to Thai classics, here are five meals you must try in Thailand. 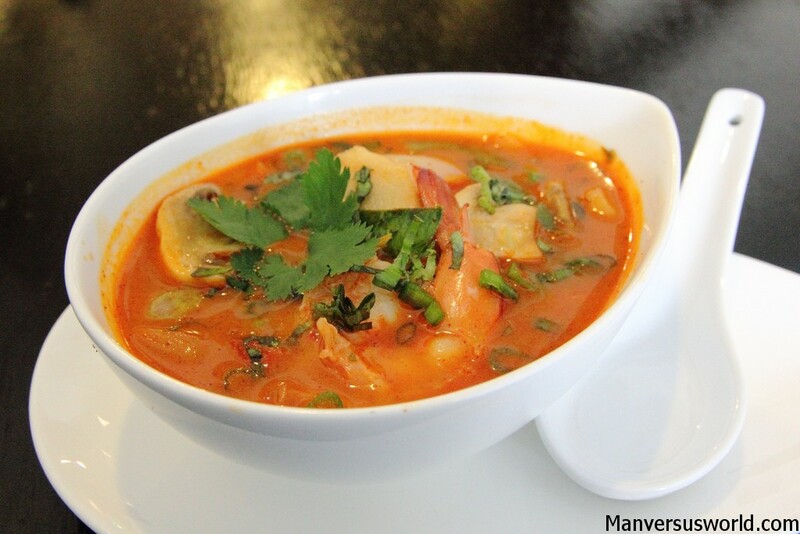 Arguably the most famous of Thailand’s many tom yum (or tom yam – pictured above) soup dishes, tom yum kung is a hot and sour, spicy shrimp soup with sweet citric overtones. Variations on this classic dish abound in Thailand and in neighbouring countries, including Laos, Malaysia, Singapore and Indonesia. It’s best enjoyed with an ice-cold bottle of Chang beer to cleanse and cool the palate. As delicious as tom yung and no less popular, pad thai (pictured above) is a stir-fry dish consisting of rice noodles, egg, fish sauce, tamarind juice and chilli pepper, most often garnished with crushed peanuts and pieces of lime and sometimes wrapped in omelette. Pad Thai is best enjoyed at dinky street-side stalls throughout Thailand, where you can grab a plate with tofu or chicken for as low as 30 baht (less than $1US) – making it a firm backpacker favourite. This Burmese-influenced curried-noodle dish is served predominantly in northern Thailand and Laos. 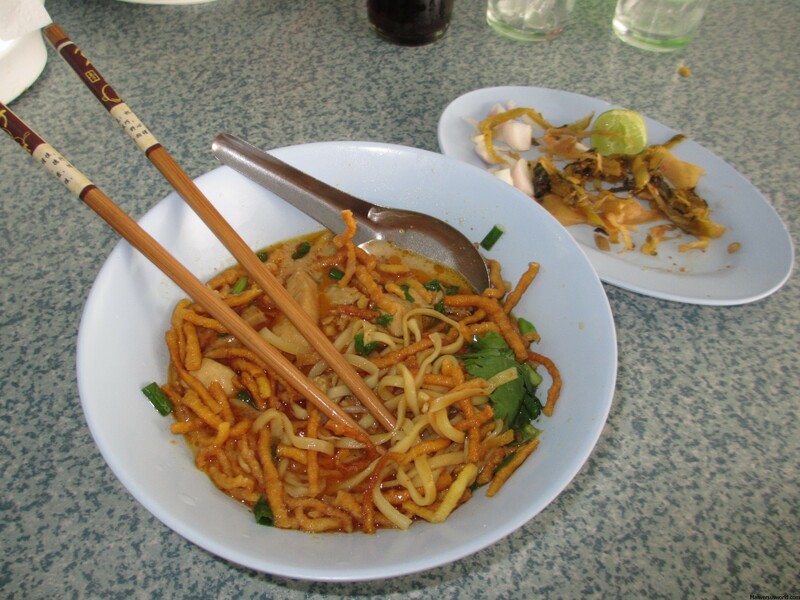 Sitting mid-way on the spectrum between soup and curry, khao soi (pictured below) is made with a mix of crispy and boiled egg noodles, cabbage, shallots, meat, ground chillies and lime. It can be a fairly fiery dish that, like pho in Vietnam, is often served with a plate of accompaniments which are added to taste. Massaman curry is a southern Thai dish – but you wouldn’t necessarily know it to taste it. Arab in origin, the massaman is heavy on dry spices and very aromatic as a result. Served with rice and traditionally made with beef, massaman curry usually contains coconut milk, roasted peanuts or cashew nuts, potatoes, bay leaves, fish and tamarind sauce, ground chilli and assorted spices such as nutmeg and cinnamon. Sweet mango drenched in coconut sauce with a side of sticky, white rice – it’s a combination that is far, far better than it sounds. Thailand’s most famous dessert is a veritable mouth-watering delight – and surprisingly addictive to boot. 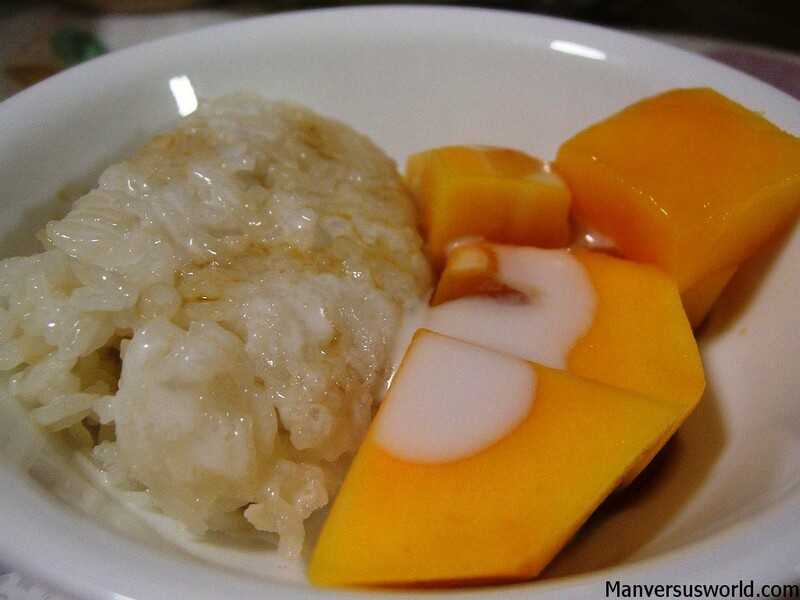 Just as good from a street-stall as in a Thai restaurant, mango and sticky rice is the perfect conclusion to any Thai meal. Feeling hungry? Don’t leave Thailand without trying every single meal on this list and more. 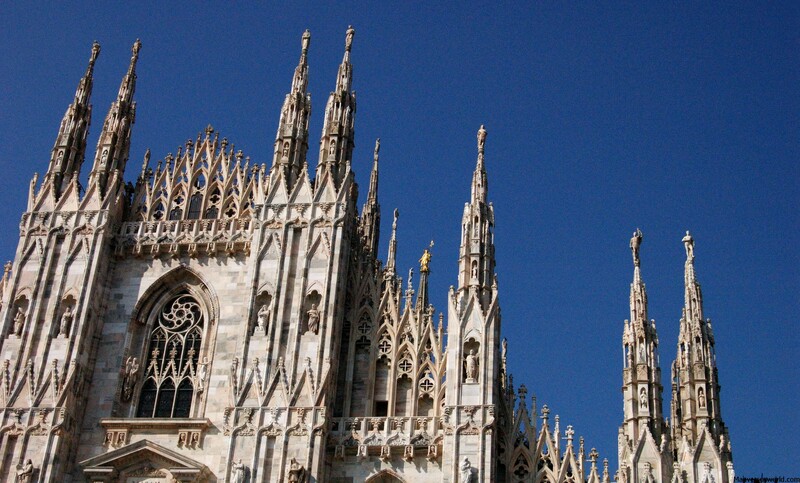 Also check out the best places to visit in Thailand. Thai food is the best!! I’m so lucky to live in SF where there’s an abundance of great Thai restaurants. But I miss eating cheap pad thai, pad see ew, and sticky mango on the side of the road while sipping on some cold, cold beer. Now my stomach is rumbling, thinking about having a huge Thai meal on the side of the road, ice-cold beer in hand! This post made me SO hungry! Thai food is my absolute favorite. It’s up there for me, too! I may be a philistine but my favourite food in Thailand comes from the 7/11. You can get a ham and cheese croissant for 20 baht! I love but hate you for sharing this post because I’m soooo craving Thai food right now and I still have to wait a week to have some! Definitely picked some good ones. Can’t wait to get there and eat already! Sorry about that! Haha. It’s done my head in, too – maybe I’ll get a Thai takeaway for lunch now (although I’m sure it won’t be as good as street-food in Thailand). I’m so excited to try the Massaman curry and quite prepared to eat my weight in mango sticky rice. Thailand, here I come! Massaman is probably my favourite on the list – followed closely by mango sticky rice for dessert. Have fun in Thailand! No matter how many different recipes I try I just can’t get my homemade Pad Thai to taste anything like the ones I had out there. I don’t know what the problem is! I’ve just eaten my lunch, but now I’m hungry again. Don’t seem to be any Thai street food vendors knocking about west London though so I must simply starve. Haha, sorry about that! My mouth was watering just writing this blog post. I can eat Pad Thai all day long, followed closely by red curry. Yet to try mango and rice sticky .. next time. Good round up! I was just in Thailand in July – I wish I would have ordered the Pad Thai that boyfriend did one night, as my fish choice landed me with Food Poisoning! We also learned to make Tom Yum Seafood soup and Massaman curry at a Thai cooking class in Bangkok – LOVE Thai food! Unlucky with the fish dish! I wish now that I’d taken a cooking lesson in Thailand… sometimes a Thai takeaway just isn’t the same!